Take notes. Taking notes during your doctor visit can help you remember what you and your doctor talk about. Take along a notepad and pen or pencil, and write down your doctor’s main points or ask your doctor to write them down for you. If you cannot write while the doctor is talking to you, make notes in the waiting room after your visit. Or, bring an audio recorder along, and (with the doctor’s permission) record what is said. Recording is especially helpful if you want to share the details of the visit with others. Request written or recorded materials. Ask if your doctor has any brochures, DVDs, CDs, cassettes, or videotapes about your health conditions or treatments. For example, if your doctor says that your blood pressure is high, he or she may give you brochures explaining what causes high blood pressure and what you can do about it. Ask the doctor to recommend other sources, such as websites, public libraries, nonprofit organizations, and government agencies that may have written or recorded information you can use. Speak with other members of the health care team. 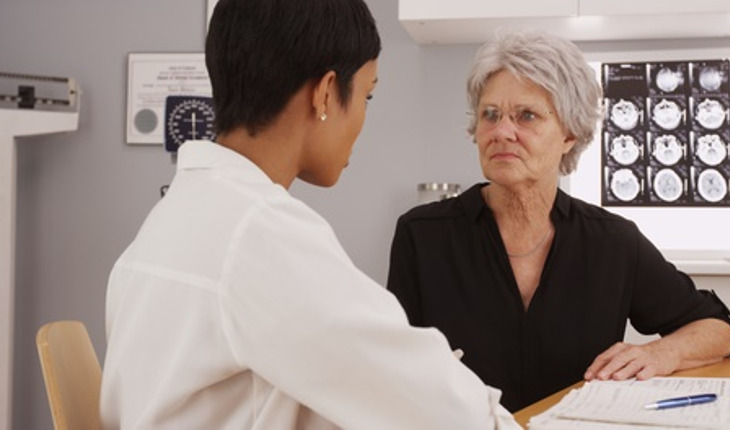 Sometimes the doctor may want you to talk with other health professionals who can help you understand and carry out the decisions about how to manage your condition. Nurses, physician assistants, pharmacists, and occupational or physical therapists may be able to take more time with you than the doctor. Call or email the doctor. If you are uncertain about the doctor’s instructions after you get home, call the office. A nurse or other staff member can check with the doctor and call you back. You could ask whether the doctor, or other health professional you have talked to, has an email address you can use to send questions. Adapted from material from the NIH SeniorHealth website. For more information on health issues for older adults, click here.